We’ve been gleefully following the developments as the overly litigious, anti-new media law firm has managed to shoot itself in the foot with its own gun. 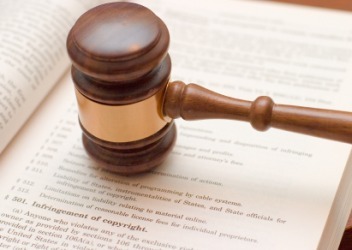 While it’s difficult to determine how many defendants have caved and settled before trial, it appears that once the cases go to court, the “copyright troll” law firm has found itself less than successful and is now claiming near insolvency. One wrongly sued defendant appeared to be gaining the upper hand in court, and now the same man has made a move that could “likely mean game over for the controversial firm,” according to PaidContent.org. In briefs filed over the weekend, sports betting blogger Wayne Hoehn requested a federal judge in Nevada grant him permission to grab Righthaven’s “bank accounts, real and personal property, and intangible intellectual property rights” in order to pay his legal fees totaling around $35,000 as well as additional fees and interest totaling around $15,000. Hoehn- a decorated Vietnam vet-again achieved hero status by asking the judge to hold the firm in contempt if they refuse to pay. If the judge agrees, he could further fine the company as well as order jail time.